For an event to be in consideration for a Masters Qualifying event it needs to meet some criteria. Run at least 5 Rounds of play. Use point levels between 3000 – 6000 points. Must be a Singles Event. Teams, Doubles and ETC style events will not count toward Masters Qualifications. The Masters will run on a calendar that starts on December 1st, and runs through November 30th. 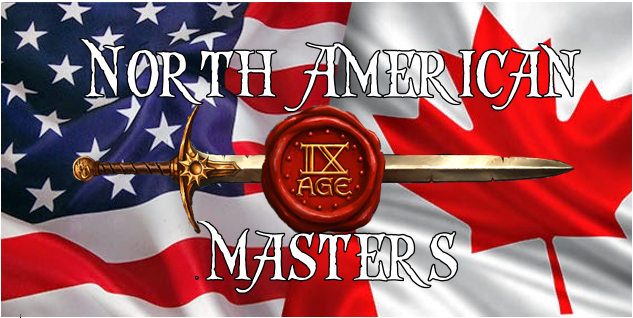 So for the 2019 North American Masters Event any 9th Age GT that falls within that time table and meets these criteria was considered for inclusion of a Masters Invite for the Champion.